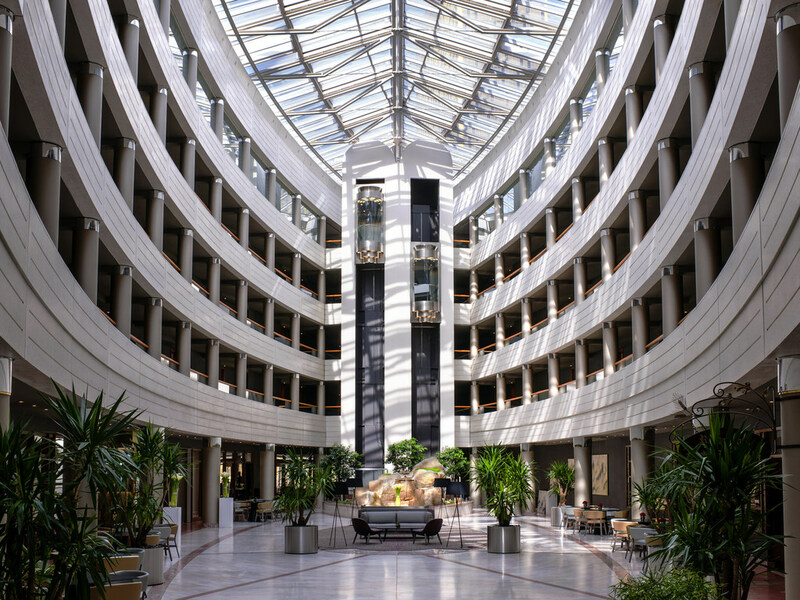 In Sofitel Luxembourg Europe, you will feel like a royal. The hotel has an award winning Italian restaurant Oro E Argento and an elegant bar. The rooms are classic, spacious with comfortable beddings. The best location to start your city trip. Fine Italian cuisine is the focus of this award-winning Luxembourg restaurant. Traditional dishes like risotto with squid and fresh herbs are paired with fine Italian wines and served by native Italian staff in a regal Venetian dining room. A wide selection of malt whiskies and oriental teas are served alongside cocktails, beer, and wine in this chic and inviting Luxembourg bar. Accompany your drink of choice with a Caesar salad, burger, or light bite from the chef's seasonal menu. Enter this stately mélange of dark wood, leather, and nautical touches and select from an expansive menu of fine cigars with the help of expert staff. Sip a specialty rum or cognac, served solo or as a pleasurable accompaniment. 위치가 중앙역에서 좀 떨어져 있어서 멀까 생각했는데 가는 버스도 많고 전혀 불편함 없었습니다. 호텔 상태는 오래된 인테리어 에서 오는 푸근함이 있었고 낡았다는 느낌은 전혀 없습니다. 직원 친절도는 최상급입니다. 모든 것이 다 좋아서 떠나기 싫었을 정도입니다.